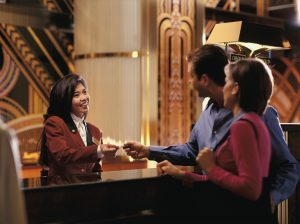 When you think of an efficient check-in process, does the Front Desk operation come to mind? As hospitality experts, we all understand that the efficiency of the Front Desk and check-in relies tremendously on what happens behind the scenes within the Housekeeping operation. Without having sufficient inventory of clean rooms, they cannot satisfy early check-ins or unpredictable guest demands. From my experience as a Front Office Manager and Director of Housekeeping, I developed processes and a guide that would ensure guestroom check-in efficiency. At The Service Companies, we employ these in all our of our Housekeeping departments across the country. To download a copy of the guide, filled with best practices, fill in your information below. When I arrive at a destination there is nothing that puts me in a bad mood more quickly than an inefficient check-in system!